I spotted a payphone on the rainy sidewalk and hurried inside, slamming the Plexiglas door behind me. It felt good to have the persistent drizzle off my face, to give my pounding feet a break from the never-ending avenues. My polka-dotted rubber boots had each sprung a leak, and all day long I had walked in two personal puddles. People walked by the phone booth holding hands under big umbrellas. They laughed as the taxicabs splashed water near their feet, and crossed the labyrinthine streets without looking. Every other person in Paris seemed so effortless, so comfortable. They had woken up here. They knew where everything was – the deli, the convenience store, the pharmacy, and the coffee shop where a friend was waiting. I had no friend waiting. I had a payphone that would charge me forty dollars to make a five-minute call to my mother. I jammed my debit card into the slot and dialed my mom’s number carefully. After one too many trills, my mother’s voice rankled the receiver, sounding much too far away. I interrupted her cheery greeting with panic. “Mom? Mom, it’s me! Hi!” She screamed into the phone, asking me a ton of questions – how were the Parisian streets? Was the city as beautiful as she’d heard? Did I see the Seine? Did I drink wine, or meet anybody nice, or see the Eiffel Tower, or eat amazing food? My face was wet, and not only from the driving rain – I was crying. My mother was thousands of miles away. I could not go home. I could not get in a cab and be in her kitchen with a cup of tea. I was stuck, and every time I asked someone for directions, I couldn’t understand the response, and people were rude, and I couldn’t figure out how to order food I would like, and the hostel was too small and a bit creepy, and I read the map wrong and got lost in a sketchy arrondissement, and a guy almost stole my bag but I snatched it away from him, and it wouldn’t goddamn stop raining. Up until then, every email I sent home and every forty-dollar call I made was kept light and fluffy. After all, I was taking the trip of a lifetime, ten days wandering the streets of London and Paris. I had maxed out a brand new credit card to do it. I was making a point. It had to be perfect. But at that moment, with my mother bubbling over with excitement, I felt more alone than I could ever remember. The language gap was too great, and my French was abysmal. The streets were too wide, the weather too gloomy, my boots too ill-equipped to keep puddles where they belonged. I was exhausted, out of money, and sure that if I didn’t fess up, I would die alone in a dank Paris phone booth. I’ve always liked traveling, ever since my first real trip – a plane ride to Florida with my family. Disney World. I had been on little jaunts before that – a road trip to colonial Williamsburg, and of course, the Jersey or Maryland shore every summer – but when I finally left the tri-state area at thirteen years old, I was hooked on this idea of other lives. While my family wanted to spend all day in the theme parks, standing on line for hours in the hot sun for a ride atop Dumbo’s ears, I wanted to go explore Orlando to see how real people lived. It fascinated me – in Philadelphia, I had a house and I went to school and I knew where everything was. And here, in this new place I had never even heard of until recently, tons of people did the exact same thing. And I knew nothing of their lives, their schools, their grocery stores and coffee shops and intersections. And they knew nothing of mine. We were mysteries to each other. I wanted to be there with them, walk alongside them, to see if I could make my tiny world a little bit bigger. To try and understand, even if only for a couple of days, what life in another place was like. Of course, I never had the chance, but the urge stuck with me. The more I learned about the world, the more all these other lives captivated me, and I wanted nothing more than to go be with them, to see how they worked in comparison to my own. I left home by myself for the first time a month after I graduated college. At the end of my senior year, Anne Waldman came to campus to speak. As assistant editor of the school’s literary magazine, I was invited to a special pre-event dinner with Anne and the rest of the Creative Writing department. She was spellbinding – spindly and bohemian, like some sort of modern day witch. She told us about her old friends Allen Ginsberg and Jack Kerouac, and said that Naropa University, a Buddhist institution in Colorado, had a poetry program named for Jack that boasted an intensive summer session for writers. He hung out there back in the day, meditating with monks and getting in touch with his inner light. It sounded amazing, and romantic, and blissfully, beautifully other. By the time Anne walked up on stage to begin her reading, I was already thinking about flight schedules and effective packing maneuvers. I had taken the train to New York with friends and driven to nearby towns on weekends, but this was different. This was a plane ride to a strange city full of strange people living other lives. The girl with whom I edited the school’s literary magazine decided to come to the summer program as well, and at the beginning, we navigated the streets side-by-side, our eyes darting wildly over new terrain. But after a day or so, once we were settled into our new surroundings, she decided to leave me to fend for myself, neglecting to even wake me up before she left for the day’s activities. My security blanket was off on her own, and I was left to the mountains and pop-up thundershowers. Scampering behind her to readings and dinner was humiliating. We weren’t that close in school, but I thought being in a strange place might cement us as allies. Sadly, her standoffishness turned to ignorance pretty quickly, and instead of sniffing around someone who wasn’t interested in my company, I fell back. For the first three days, the trip was a complete disaster. There was no television in my room – not one in the whole dorm building, in fact – a reality that unsettled me to no end. There had been a television going in some capacity since the day I was born. The noise calmed me. All noise did, in fact – trains clacking on tracks, traffic, car horns, conversations, yelling, bottles shattering against concrete. City racket had worked its way into my bones, and now the eerie quiet of Boulder kept me up all night. I listened with sharpened paranoia to the cicadas and crickets and the shushing of a nearby creek. It was unnerving. If the silence wasn’t enough, everything at Naropa was different. Like, really different. At Disney World, I had experienced tourist-different, which is like everything comfortable and familiar, but with a slight adjustment. Here, everything was real-life-different. The cafeteria served tofu, which I hadn’t considered a food so much as a punch line after years of fried, over-salted college grub. Buses cost less and didn’t give change, making me anxiously count my quarters over and over. There were no kids smoking and chatting on a concrete quad – just a bunch of dreadlocked writers meditating on the grass, outlining poems about the mountains. I was late to everything because the meeting rooms were numbered weird. And everyone in my little workshop was a strong writer, each person with his or her own unique personality. I felt ordinary and stupid and untalented and disturbed by the texture of my lunch, the lack of overheard cursing, the lonely walk along the creek back to my quiet, television-free dormitory. Nothing about that week resembled what I had wanted for myself. My ego had projected visions of my brilliance, new pen pals lining up to trade addresses, the kind of cultish art-salon that more closely resembled a page from the International Bazaar catalog than a shabby college campus beyond the Continental Divide. But halfway through the week, I decided to drop my defenses and let Boulder in. When I realized the end of my trip was closer than the beginning, I knew it was time to get over myself. The television static inside me quieted. I devoured bean curd and wilted greens and unpronounceable grains with gusto. I learned how to talk to strangers, not as though I was sorry to bother them, but with genuine curiosity about the mysteries I had been chasing. Instead of peering at their other lives like some detached observer, safe in my bubble, I let myself live a kind of abbreviated other life as well. And that made my trip something more than a safe, manufactured vacation. It wasn’t about carefully planned excursions or sightseeing tours. It was about putting my tired old life on hold, and seeing how a brief existence in another world suited me. On the last day, there was an open reading for students, and I recited a poem I had written about calming my inner noise. As I spoke the last few words, I started to cry, which was the last thing I wanted in a room full of cool writers and award winning authors. But to my shock, the room erupted into raucous applause. Bob Holman grabbed my hands and shook them, grinning his big gap-toothed grin in my face. Gloria Frym said it was a pleasure to know me. Anne Waldman squeezed my shoulder and gave me a look that screamed, Didn’t I tell you? Bhanu Kapil hugged me and made me promise to come back the next year. I felt so happy that I was almost afraid to move – and then, almost as suddenly, I felt immense sadness. Right when I was starting to feel connected to this other place, this imaginary other life, I had to return to the familiar. The original plan had been to do three days in London, three in Paris, and then another two in London before heading home. But the sobbing phone call to my mother, the rush-order train ticket, the scampering exit from my cramped French hostel all came only eighteen hours or so into my affair with the City of Lights. I’ve always known there’s a difference between being alone and being lonely. In London, a city full of strangers, I was simply, sometimes even blissfully, alone. In Paris, separated from everyone by a language, drenched in gray, relentless rain, turning my crumpled map around and around, never sure of which direction I was facing, I felt utterly lonely. In Paris, I was not much further from home than I was in the U.K. But on that one long night in the tiny hostel, when I barely slept a wink, I felt every single mile for the first time since I arrived. In my adult years, most of my anxiety has centered on the feeling of no escape. I hate big crowds of people, street festivals, and arena concerts, because a quick getaway is impossible. I need to know that if I start to feel nervous or anxious, I can go. I never take rides from other people, and I cushion my outings with make-believe plans an hour after, so I can slip out whenever I feel the need. In my Paris hostel, escape was not possible. No matter what I did, it would be days, miles, long stretches of time and distance before I could see or smell or touch anything familiar. When I heard people drop English words into their rapid-fire French, I felt a pang of excitement and pain, like an amnesiac slipping in and out of tiny rememberings. It felt so good and so terrible to hear my native tongue on a stranger’s lips. I was hungry to strike up a conversation with a random person, or ask directions and be able to understand the answer. I wished I could speak without thinking, that I didn’t have to flip through my guide and phrase books before taking a step or uttering a syllable. It was paralyzing. The worst part about all of it was – I had done it all myself. I didn’t end up there on someone else’s whim. Quite the opposite. For months, I had peppered the idea of a European getaway to my closest friends, mentioning the cheap hotels I found online, the best months to take a trans-Atlantic flight. No bites. They were always too poor, too busy, or both. I was willing to take time off of work and forgo take-out dinners and clothes and drinks so I could see the world, but I couldn’t find a single travel companion. Facebook friends would fly off on little adventures, always hand in hand with their boyfriend or girlfriend. There were kissing pictures at the airport, snuggling couple photos at restaurants, in front of landmarks, famous signs. If I had a boyfriend, I could make him go anywhere I wanted. A built-in buddy could split the cost of our faraway adventures, step in when my French got messy, laugh with me when we wandered down the wrong street for an hour, and hail a taxi to take us back to the hostel when a full day of sightseeing left me exhausted and overwhelmed. This romantic, distant thought angered me so much that in a fit of rage-fueled independence, I booked my solo trip. One round-trip ticket to London. One round-trip train fare to Paris. One room at the Queen Mary Hotel, the Park Lane Sheraton, the Libertel Gare du Nord. One pass to the Seine River boat tour, one cupcake from Berko, one ticket to the Clapham Picturehouse. One pair of rain boots that, only days after purchase, sprung a leak. One pathetic girl, crying to her mother in a cold, wet Paris phone booth, asking for extra money because she spent all of hers trying to show everyone how independent and cool and above it all she was. I didn’t need a travel buddy, or someone to love me and support me. I didn’t need someone to follow around so I’d know where to go. Hell no. I needed a passport and a higher credit line. My trips to Boulder and London both started with the same impulse – I wanted to prove something to other people, and to myself. By going to a summer program in a state I’d never even thought about, I wanted to show my cloistered college writing community that I was serious about my art. I wanted to show myself that I could talk about poetry with strangers who were, in all likelihood, smarter and more experienced. It was an impulse borne of the need for legitimacy. I wanted to take my dinky workshop heart and shaky red pen and put them both to work, to show that I had learned something, even if I had attended class with the same supportive handful of teachers and writers for my entire college career. And even though I didn’t begin the trip alone, I believe the fact that I ended it that way informed the outcome. I may not have steadied my voice or steeled my writing hand had I kept hovering nervously around my disinterested classmate. But the Europe trip was rooted in something more tenacious, even angry. I had never been a girl with many boyfriends, but when I was younger, it hardly seemed to matter. As an adult, the idea of a partner seemed to mean so much more. In a way, it meant freedom – from traveling alone, from arriving to a party unsure if anyone familiar would be there, and yes, from loneliness. Boarding that overnight flight to Heathrow Airport was my angrily flipped middle finger towards the gloriously coupled freedom I had never experienced. Instead of bristling against loneliness, I would rush into it with abandon and righteousness. I would show myself and my friends and the boys who didn’t have any interest in dating me that I could do anything I wanted, all by myself. But instead of solitude and silence calming my inner noise, they exacerbated my anxiety and transformed my indignant stance into cowering. I would have given anything to have that girl from the literary magazine appear outside the phone booth in Paris. I would have loved to laugh about the misunderstandings with someone sympathetic. Stubborn and dejected, I wielded my loneliness like a weapon instead of a tool. So how do I learn which trips to take alone, and which I shouldn’t book until a trusted friend agrees to come? Maybe it’s not about the destination, or the friend, or the sights I’ll see when I arrive, or the logistics of moving from hotel to city center and back. It’s not about the dinginess of the cramped hostel or the language barrier, and it’s not about the fortitude of my rain boots or the crystal blue that appears when the clouds finally break. It’s all about the reason, the depth of my hunger for those mysterious other lives, and whether or not my movement is fueled by curiosity or a curse. Maybe the most important part of the trip occurs before I even take it. Rae Pagliarulo received her MFA Creative Writing Candidate from Rosemont College and is Creative Nonfiction Editor for Literary Mama. Her work has been featured in Full Grown People, Ghost Town, bedfellows, Scary Mommy, New South, Hippocampus, and Philadelphia Stories, and is anthologized in The Best of Philadelphia Stories: 10th Anniversary Edition. 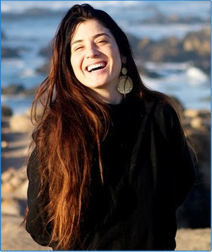 She is also the 2014 recipient of the Sandy Crimmins National Poetry Prize and a 2015 Pushcart Prize Nominee. She works and lives in Philadelphia. 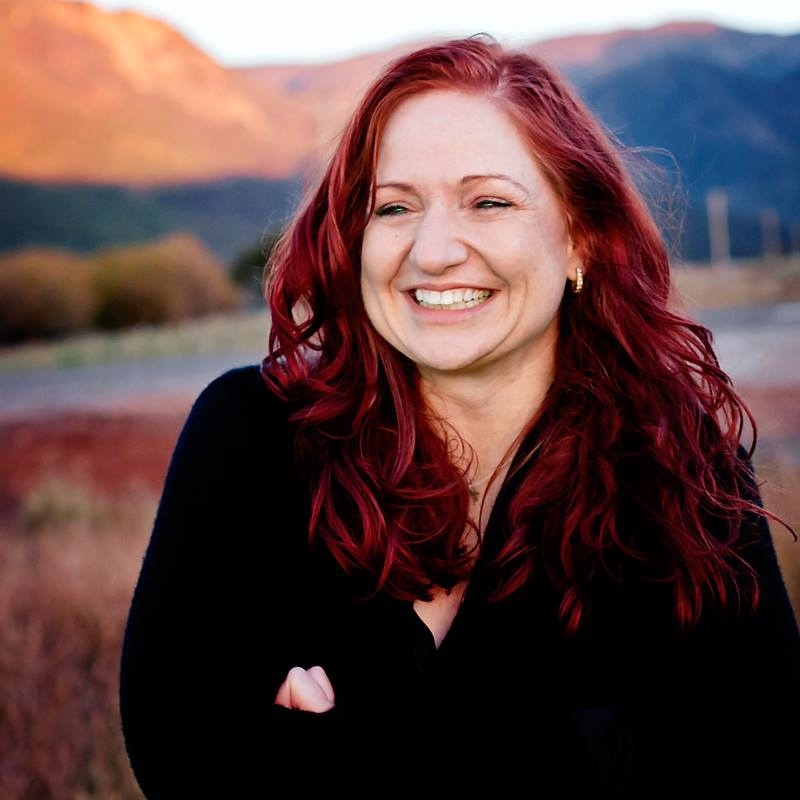 Join Jen Pastiloff at her Manifestation Workshop: On Being Human in Dallas Oct 22. Click the link above to book. No yoga experience needed- just be a human being! Bring a journal and a sense of humor. See why People Magazine did a whole feature on Jen. Check out Jen in People Magazine! How To Manifest Under The Tuscan Sun With Jen Pastiloff.